WW1 Pair awarded to 353424 Corporal George F. Porter, who served with the RGA in Palestine from August 1917. 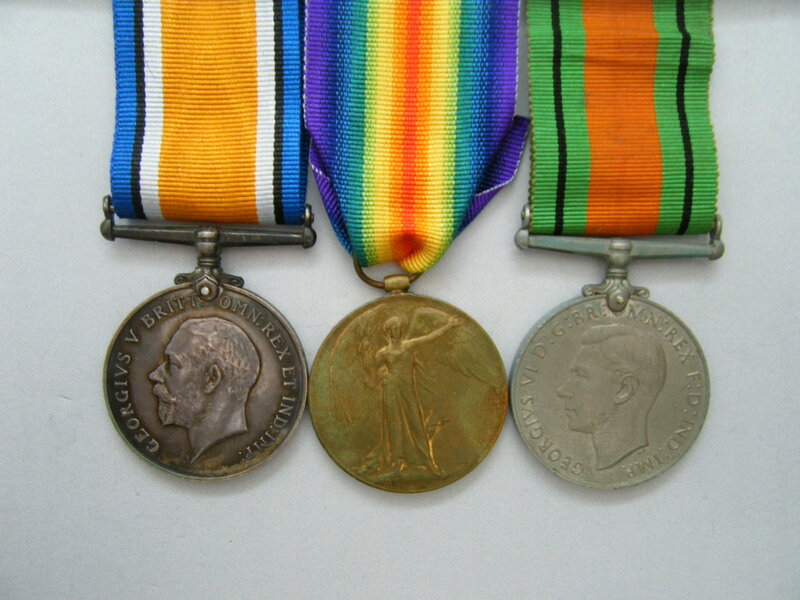 This listing also includes a WW2 Defence medal awarded to C. F. Porter of Tottan, Hants. Details of the campaigns in Egypt and Palestine can be viewed by clicking on here. This account gives a very detailed order of battle that numbers various RFA, RGA and RA units. 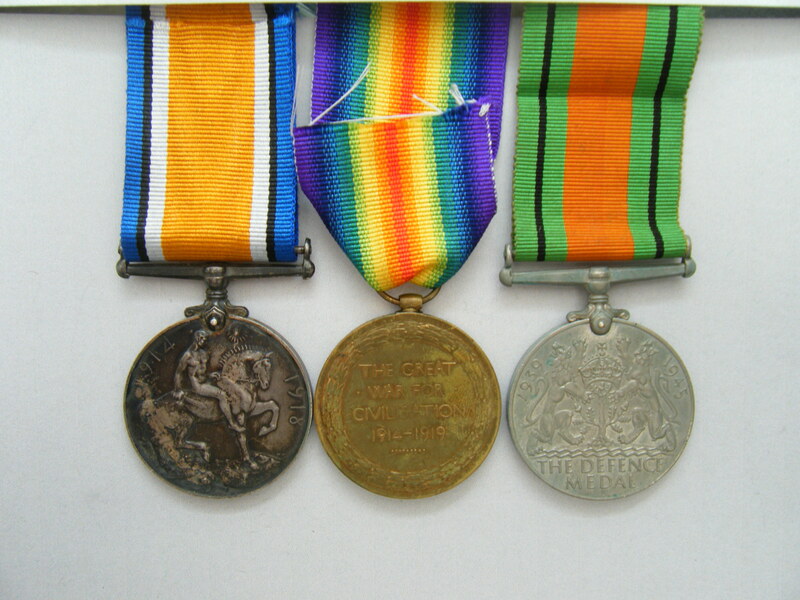 British War Medal and Victory Medal named to 353424. CPL. G. F. PORTER. 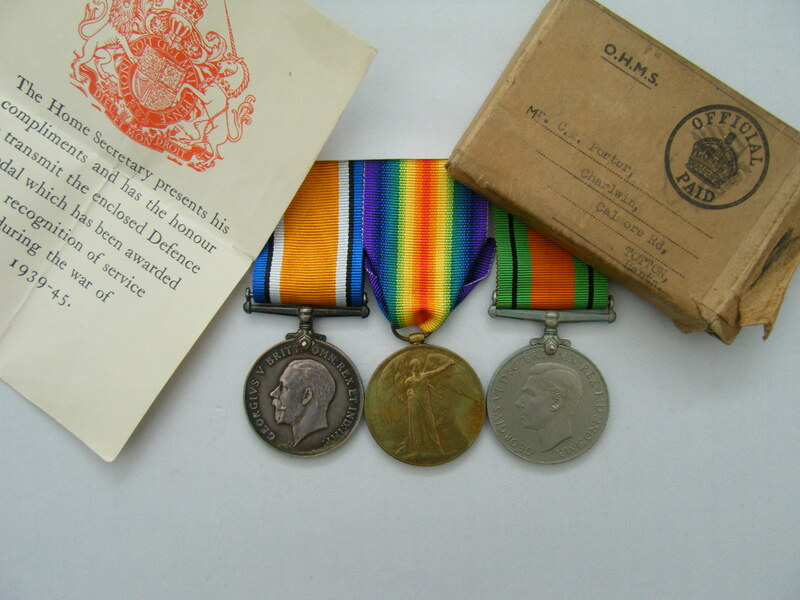 R. A.
Defence Medal unnamed as issued - along with the original box of issue which contains a Defence Medal Home Secretary Award Slip.